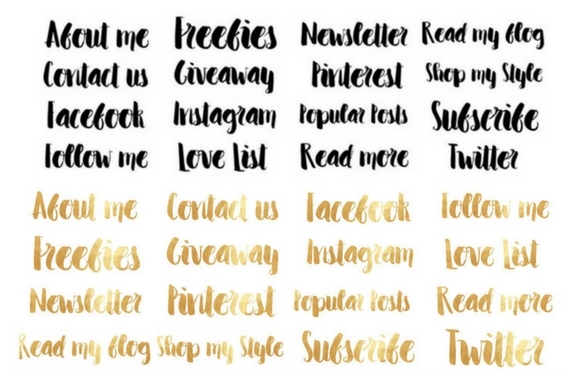 Get creative and transform your blog into something inspiring. 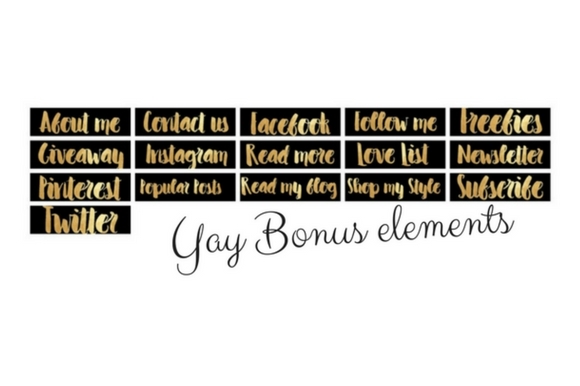 Style your blog’s side bar with cute buttons. 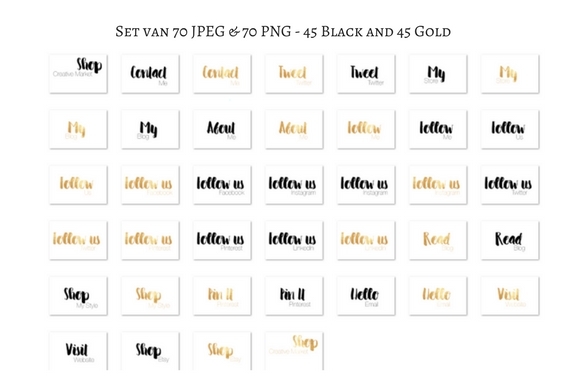 This kit includes 70 ready-to-use images in black and Gold. 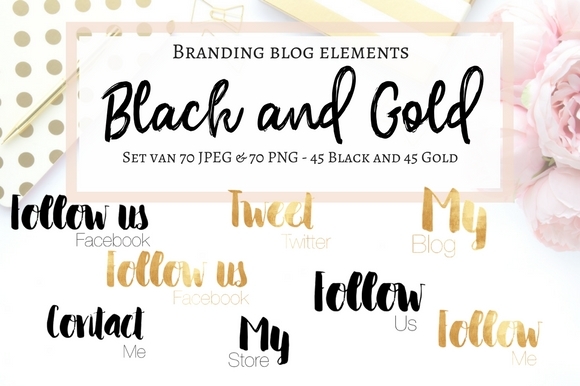 – 70 PNG images in black + gold (transparent background) Designed to mix and match! Note: This is a graphics kit – all items are JPG and PNG image files, ready to go and easy to use.